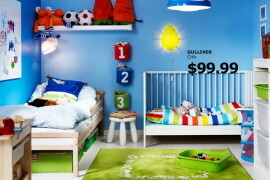 Tapping into all that wall space is a great way to free up square footage and give the kids’ room a more spacious visual appeal. 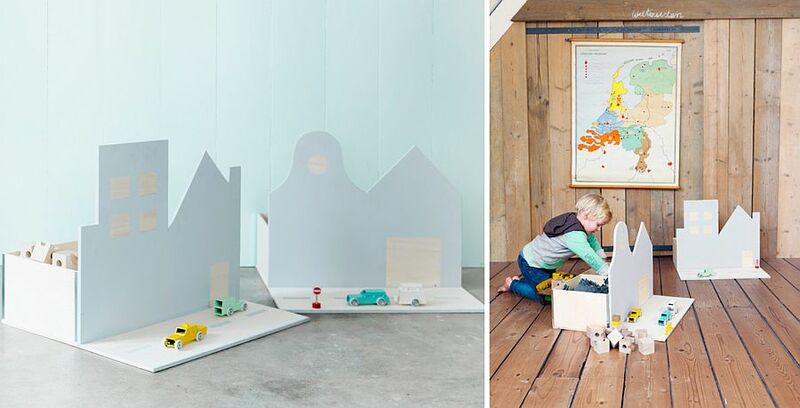 Practical, wall-mounted storage units in the small kids’ bedroom allow you to create a homework station or even a play area with ease. 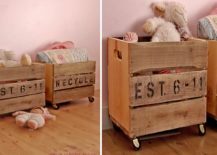 Turning old crates into open, box-style shelving and storage units is a popular option that works well in the kids’ room as well. 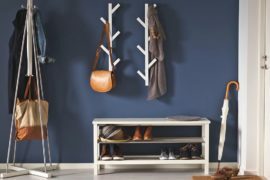 The innovative shelves and DIY crate storage units that you see are inspired by design we uncovered on Hus & Hem and they sure seem to blend in with the contemporary aesthetics of the room seamlessly. 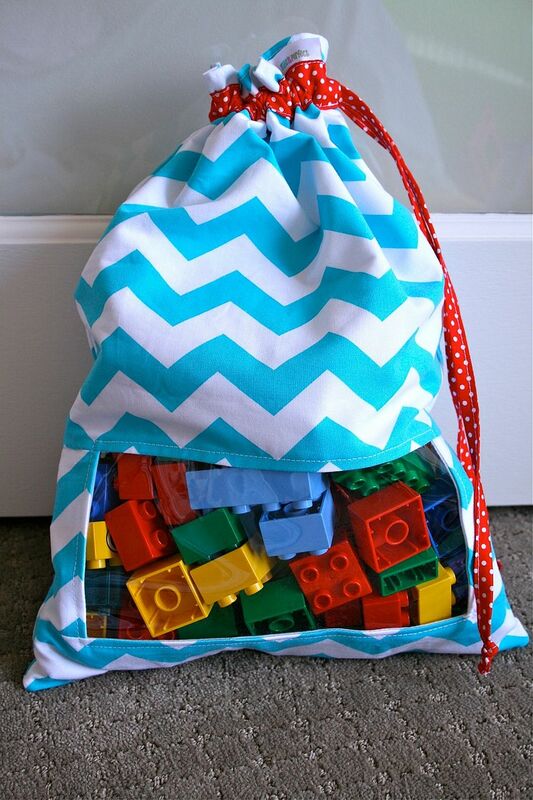 Looking for something more colorful for the kids’ study area or crafting zone? 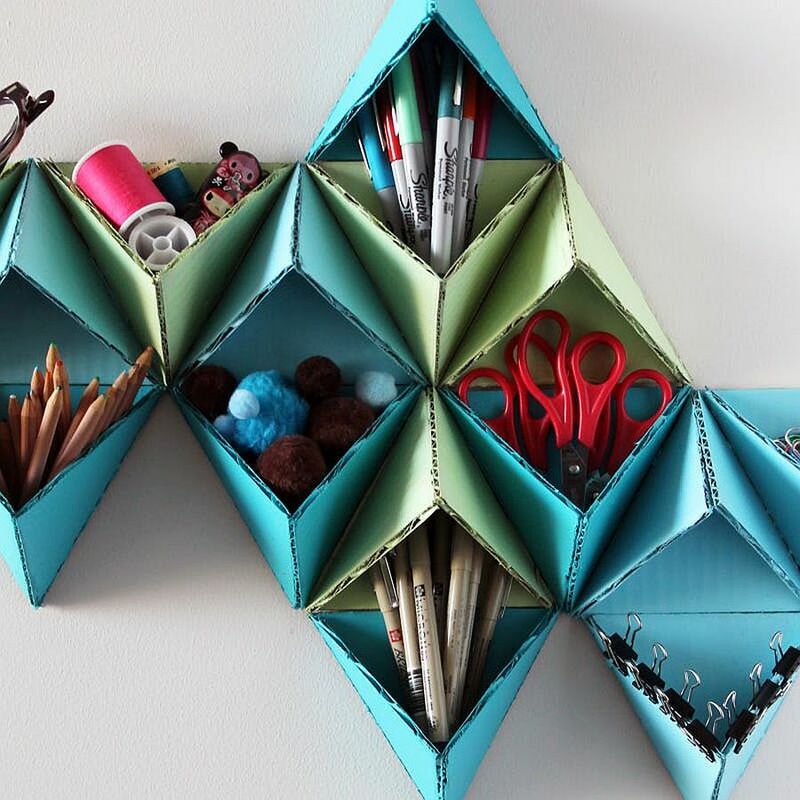 Then the triangular wall storage system crafted by Brit+Co is the one for you. It adds color and creativity to the interior even while ushering in cool geometric contrast. No more pencils and stationery flung all around in the kids’ room! 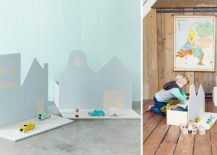 Decorating the kids’ room is also about having a bit of fun and moving away from the more rigid constraints of the adult world. 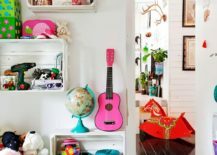 So, why should your DIY storage solutions for these colorful and vivacious spaces be any different? 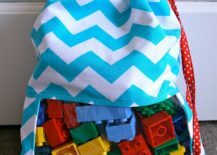 The Peek-a-boo Toy Sack that you see below is a great example of a DIY storage solution that is simple, easy to recreate and is still a whole lot of fun for your little one. You do not need extensive DIY skills for this project and it barely costs anything. 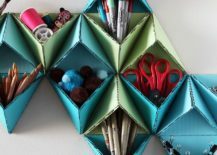 This next idea is really a stroke of genius that might just persuade your kids to be a lot more organized; and all on their own! 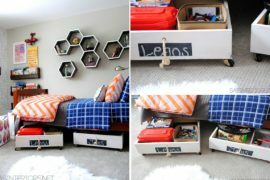 The DIY Toy Chest also conceals a storage space and once playtime is done, cleaning up is a whole lot easier. 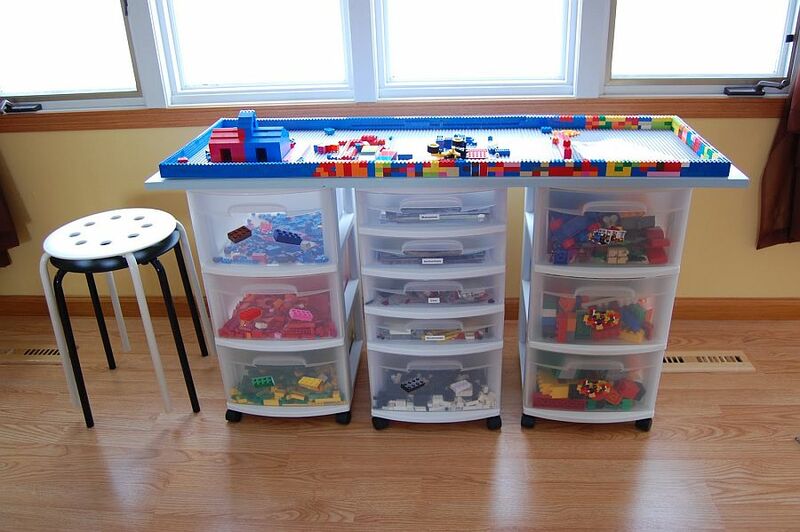 Taking DIY fun to a whole new level though is the gorgeous and absolutely awesome LEGO table with a base made out of storage boxes crafted by Our Wee Family. 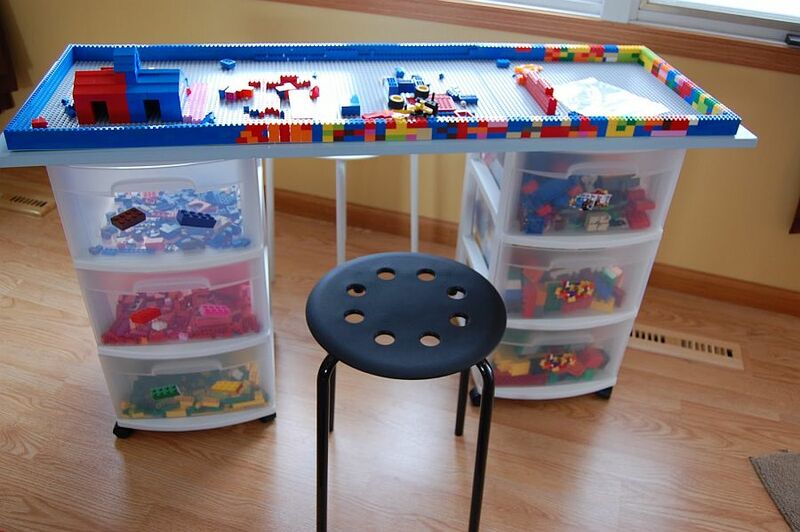 This is a project that kids are bound to gladly partake in and it also turns those tons of LEGO pieces into something useful. 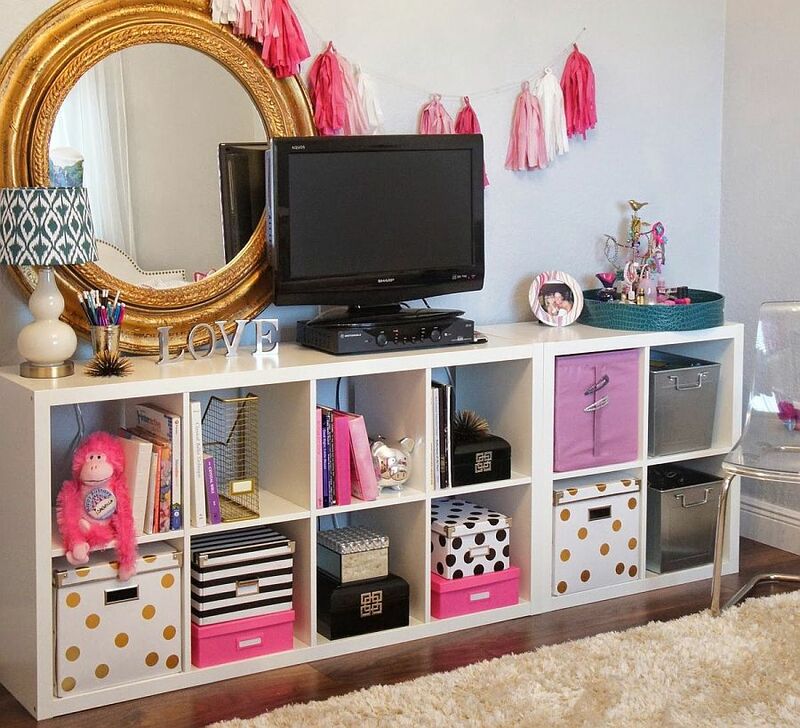 Storage spaces in girls’ bedrooms are a touch different from those in the boys’ room and also are a bit more demanding! 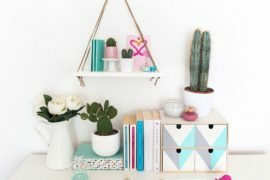 We absolutely adore the open shelf DIY storage idea from Kelly’s DIY Blog and it can easily be used in the boys’ bedroom and even in adult spaces. 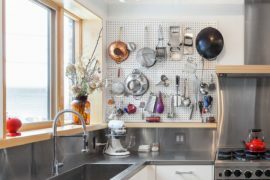 How you decorate these open shelves and use them depends on both your creativity and necessity. 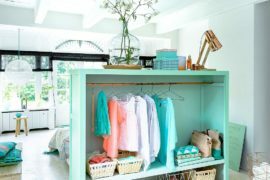 Another super-chic idea is the girls’ room dress up headquarters from A Turtle’s Life for me that seems to sort everything from headbands and bangles to dresses and shoes. 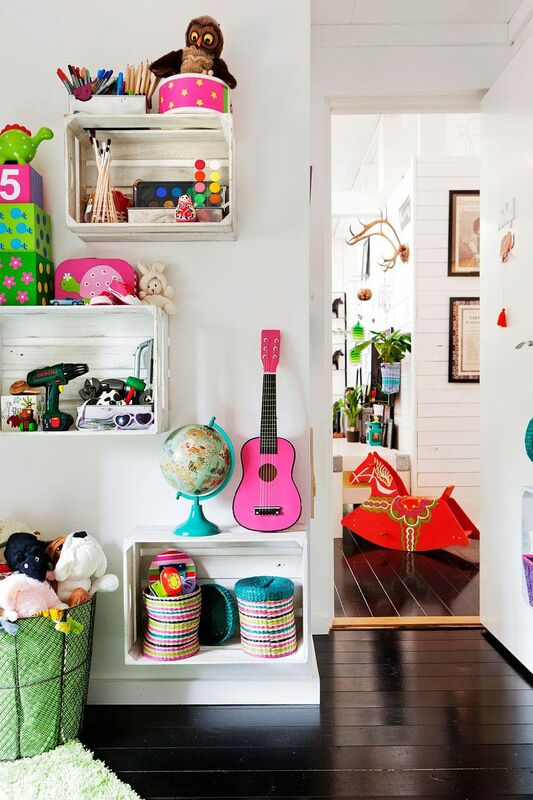 Yup, boxes offer an easy and uncomplicated storage option in the kids’ room. 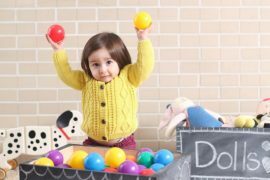 But there is still plenty to choose from in the world of DIY ranging from upcycled storage boxes on wheels crafted using old crates to much softer and modern fabric toy storage boxes. Sure, some of these require crafting skills a bit beyond the beginner level, but you should get a hang of things within no time! 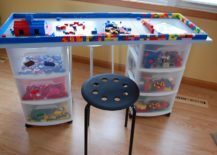 Finally, those with plenty of time and the tools can also try out the DIY kids’ play table along with custom seating that has built-in storage. 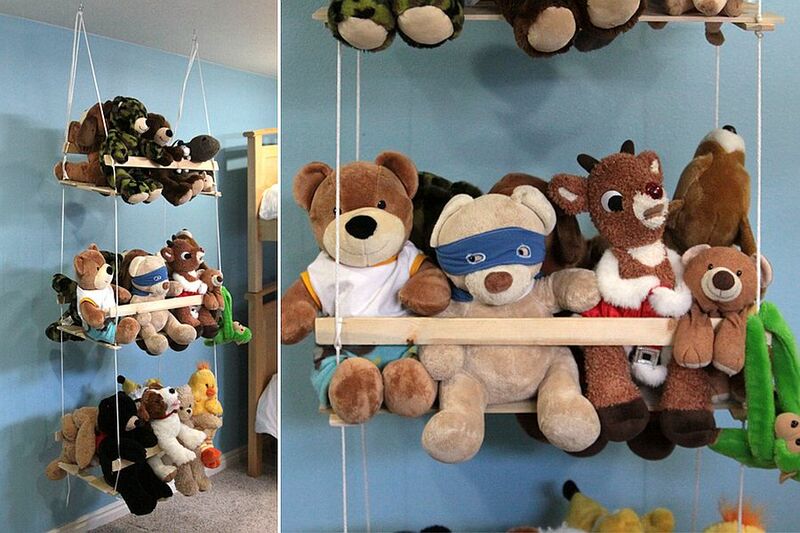 Time to start creating a more pleasant and organized kids’ room!